Sarah Raine is a Research Fellow in Popular Music Culture at Birmingham City University. Tim Wall is Professor of Radio and Popular Music Studies at Birmingham City University. Nicola Watchman Smith is Head of Higher Education at Newcastle College University Centre and a cultural sociologist and researcher. She has published widely on northern soul, including chapters in The Ashgate Research Companion to Popular Musicology (2009) and Ageing and Youth Cultures: Music, Style and Identity (2012). The northern soul scene is a dance-based music culture that originated in the English North and Midlands in the early 1970s. It still thrives today with a mix of sixty-year-olds and several generations of new converts, and its celebration of 1960s soul has an international following. This co-produced book brings together newly commissioned essays together with pivotal earlier articles that have defined the field so far. These chapters are interspersed with key journalistic articles, evocative photographs, and interviews with the directors of northern soul-themed films. This anthology is the first to provide a wide variety of perspectives on the history and contemporary nature of the scene, and creates a forum for vibrant dialogue and debate amongst academic researchers, students and those immersed in the scene. Representations of the scene from different media, and different historical locations, are juxtaposed to construct a rich and diverse statement about the music, people, places and practices that constitute the northern soul scene in the UK and beyond. The northern soul scene is a dance-based music culture that originated in the English North and Midlands in the early 1970s. It still thrives today with a mix of sixty-year-olds and several generations of new converts, and its celebration of 1960s soul has an international following. This co-produced book brings together newly commissioned essays together with pivotal earlier articles that have defined the field so far. These chapters are interspersed with key journalistic articles, evocative photographs, and interviews with the directors of northern soul-themed films. This anthology is the first to provide a wide variety of perspectives on the history and contemporary nature of the scene, and creates a forum for vibrant dialogue and debate amongst academic researchers, students and those immersed in the scene. Representations of the scene from different media, and different historical locations, are juxtaposed to construct a rich and diverse statement about the music, people, places and practices that constitute the northern soul scene in the UK and beyond. The introduction summarises the history of the Northern Soul scene and indicate examples of the blossoming contemporary interest scene’s past and present. It offers critical overview of academic research on the scene, linked to chapters in the books, and explain something of the ways that the scene has been communicated and represented over its forty-year history. William Ellis is a photographer of international renown, whose distinctive style encompasses portrait, performance, and still life images of musical instruments. His breakthrough came with the opportunity to photograph Miles Davis in 1989, and he has since worked with many of the world’s leading musicians. His work has been exhibited internationally, and held in collections including the National Portrait Gallery London, the Archive of Contemporary Music in New York, and the American Jazz Museum in Kansas City. His work also appears in print and online, published by magazines, newspapers, television and radio broadcasters, and by record companies in artist promotion. Stuart Cosgrove is a journalist, broadcaster and media executive, formerly working at NME and The Face, and Channel 4 where he was Controller of Arts and Entertainment and as Head of Programmes (Nations and Regions). He presented BBC Radio Scotland’s Northern Soul show Floorfillers in the 2000s. Published five months after the closing of the Wigan Casino, this article (first published in Collusion in 1982) represents one of the first journalistic analytical studies of the scene. The writer, Stuart Cosgrove, begins with a summary of the mythologized role of the Casino and its enduring legacy for the Northern Soul scene. The writer discusses dancing, record collection, drug use and the venues itself in one of the most contemporaneous articles. He describes the scene as including not only the British dancers, DJs and record collectors, but also the African American record companies, artists and producers, representing Cosgrove’s ‘Black America’, the ‘single most important feature of Northern Soul’. This article represents a knowledgeable insight into the scene as it was at the beginning of the 1980s and the ways in which Northern Soul ‘aficionados’ conceptualized the scene. Joanne Hollows is an independent researcher and writer. She has over twenty years’ experience teaching Media and Cultural Studies, most recently as Reader in Media and Cultural Studies at Nottingham Trent University. Her research spans a range of areas. Alongside work on popular music, Joanne has also published widely on feminism and popular culture; food and cultural studies; and domestic cultures. Her books include Feminism, Femininity and Popular Culture (Manchester University Press 2000), Food and Cultural Studies (with Bob Ashley, Steve Jones and Ben Taylor, Routledge 2004), Domestic Cultures (Open University Press 2008) and Media Studies: A Complete Introduction (Hodder, 2016). Joanne’s current research interests in music focus on the strange relationships between cycling and music cultures. Katie Milestone is Senior Lecturer in Cultural Studies and Sociology at the Manchester Metropolitan University. Katie’s research interests are focussed on gender and popular culture, creative industries, place and identity and popular music. She began her research career at the Manchester Institute for Popular Culture where she undertook a PhD on music and place. She has a long-standing personal and academic interest in Northern Soul and has published work and organised research events on this music based community. Katie’s is currently completing a second edition of her jointly authored book on Gender and Popular Culture (Polity Press), and a Major Works Collection on the same subject for Routledge. Katie is also completing publications on dance music culture and gender, place and identity in the creative industries. This chapter, first published in The Place of Music: (eds. Leyshon, Matless & Revill 1998, Guilford Press), addresses debates about place and identity, and the relationship between local musical scenes and global musical cultures. It explores four main concerns: the ‘northernness’ of northern soul; rarity, exclusivity, and commodity exchange; the relationships between contexts of production and consumption; and the importance of place and pilgrimage within the northern soul scene. 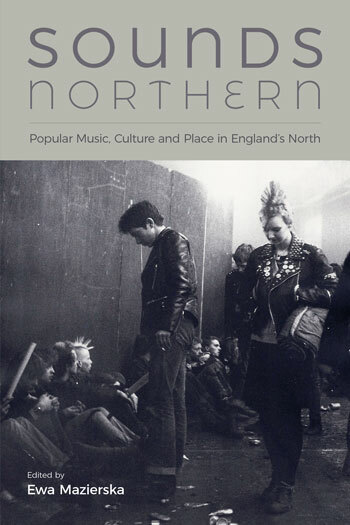 This chapter aimed to highlight how the northern soul scene produces a sense of identify and belonging, and in doing so hoped to offer a different way of conceptualizing identity and the production of ‘community’ in musical cultures from that offered by subcultural theory. As one of the earliest academic considerations of the northern soul scene, this publication inspired subsequent studies which extended and critiqued this analysis. The Northern Soul scene is a dance-based music culture that originated in the English North and Midlands in the early 1970s. It still thrives today with a mix of forty-year-olds and new converts, and its celebration of 1960s Soul has an international following. Centred on the detail of the dance techniques, and musical and cultural context, the analysis presented here is developed from an ethnographic study. It uses a concept of competence and the example of a classic record to explore the meanings of dance for the scene’s participants. The importance of solidarity, senses of identity through gender, place and ethnicity, and the relationship of the scene with African American culture are explored. The study draws conclusions about the way that dance can be theorised and analysed, and argues that a full analysis requires an exploration of the relationship of physical movement to space, music and senses of identity. This chapter, first published in The Ashgate Research Companion to Popular Musicology (ed. Derek B. Scott, 2009: Ashgate), discusses the suitability of the post-subcultural paradigm as a potential means to consider aging participation and music scene longevity. This chapter questions the master narrative of youth evident in popular music research, and, by theorizing music as pleasure and as an aspect of everyday life, it argues that the appeal of participation is not dependent upon age, nor does it derive solely from a desire for community or resistance, but is rather tied to identity formation and reflexive engagement. Ady Croasdell researches the history of Black American soul music. As a CD compiler for the Kent label, part of Ace Records, of 33 years experience, he has had access to many original participants and documents. He has written approximately 200 booklets of 4,000 words or more to accompany compilations, each in terms of the musical history of particular record labels, artists, producers or genres. Having been involved in the Northern and rare soul scene since 1969, he has a unique overview of the impact the music has had in Europe and the UK in particular. Ady promotes Northern Soul dances at London’s 100 Club, which at 36 years is the longest-running event by some considerable way, and runs the Cleethorpes Northern & Rare Soul Weekender, bringing US acts to perform; most of whom have never appeared outside the USA and frequently come out of retirement to perform. It is the longest running such event, now in its 23rd year. Ady has lectured at the Victoria and Albert museum and Salford University. Since the demand for elusive “sounds” built up in the late 1960s, there has been a history of legitimate reissues of rare soul music and a parallel bootleg scene that sprang up in the early 1970s. Time was when a reissue or bootleg would kill the demand for the particular recording, necessitating top DJs and their exclusive playlists having to champion new finds to keep their sets desirable. Bootlegging precluded the songwriters, label owners and artists of their dues and was/is a reasonably sure-fire way to a quick buck, providing that the particular market is known and understood. This chapter will consider the history and effects of bootlegging, examine how it was allowed to thrive over the years and explore the attitudes of the major labels, whose inaction and ignorance necessitated the bootlegged scene’s birth and longevity. In terms of musical economies, the relationship between the London music industry and the primarily northern UK based bootlegging will be also examined, including the successes of the companies who did things by-the-book and the personal reactions of the creative people affected by the co-existence of these two oppositional yet infinitely interconnected record economies. Northern soul is a British music culture centred upon the direct acquisition of American soul music. Thus, when the heyday northern soul scene produced a recognisable British culture and consequent identities for its UK participants, an interesting dynamic was created in terms of the link between place and popular music. This chapter will discuss the role of American soul music in the synthesis of (an initially) northern cultural identity in relation to two factors. Firstly, in acknowledgment of the fact that northern soul is so named because of a perceived distinction between northerners preferred style of soul music, compared to other British consumers of soul. When a specific strand of borrowed American soul music became (re)labelled as a reflection of the tastes of northern English youths the notion of authenticity, ownership and locality as an origin of identity became muddied. Therefore, secondly, the significance of the separation between the American home of this soul music and the UK locality in which this music is (primarily) enjoyed will also be discussed. Ultimately, identity and locality will be problematised within an analysis of the northern English claim to the possession of a specific batch of American music, the appeal of this ‘alien’ music, and the significance of the consumption of that alien music in a geographically distant and distinctly northern manner. Joe Street is Senior Lecturer in American History at Northumbria University, Newcastle. His research concentrates on the nexus between politics and culture in the twentieth century, with a particular focus on African American radicalism in the 1960s and 1970s and the San Francisco Bay Area after World War Two. His publications include The Culture War in the Civil Rights Movement (2007) and Dirty Harry’s America (2016), and articles on the Black Panther Party, Malcolm X, and the 1967 Stax/Volt Revue. He loves soul music but cannot dance to save his life. Dave Godin (1936-2004) was the single most influential individual involved in popularising African American popular music in the United Kingdom during the 1960s and 1970s. As such he needs no introduction. This chapter examines two closely related aspects of his thought about the meaning of soul music and the responsibilities of soul fans. Godin wrote extensively about his experiences as a fan and of his conviction that the music was closely related to the historic African American struggle for freedom and dignity. He argued throughout his life that a close relationship existed between supporting the music and supporting this struggle. He also firmly believed that, by buying their records, the British soul community helped to support African American artists, a position that stemmed from his understanding of the political economy of soul music production. The article reveals the relationship between Godin’s position regarding soul music and his deeply-held political opinions while also detailing how it led him into conflict with certain members of the Northern Soul community in the 1970s who prized rare records that he felt deserved wider distribution. It argues that for Godin, the soul community was an inclusive and supportive community for the artists as well as the fans, and the fans had a duty to the artists that went far beyond mere appreciation of their music. A history of the northern soul scene is comprehensively set out in a range of books, films and websites which give a rich picture of the scene’s past. They tell a story of the background to the scene’s formation and its early and later incarnations, all expressed through the strong sense that the scene has survived and flourished, welcomed new members and renewed itself, while always remaining true to its origins and traditions. Many of these mediated histories are stories produced for an insider audience by authors and media producers who themselves have personal experience of the scene. We see this as part of an extensive process of self-documentation which has become a central cultural practice of the northern soul scene. In this chapter, the authors seek to explore how the story of the northern soul scene is told through a range of media and how they relate to processes of scene self-documentation. They tease out the differences between self-documenting media texts and the more mainstream ways in which the scene is represented. And they argue that the myths of northern soul represent a shared narrative; held as a common point of reference, widely distributed and used as a locus for personal identity. Above all, these stories are testaments to an insider identity: a sense of what it is to be a member of the scene and, by contrast, what lies outside. This chapter explores some of the self-documented histories of the scene, drawing out core myths, exploring how they operate over a range of media as a key part in the mythologizing process of self-documentation, and identify the ways in which they act as a stabilising and legitimising force. John Barrett has been documenting the UK soul scene with the aim of capturing the personal identities and obsessions of this endearing sub-culture. These gritty images of the northern soul artistes, dancers, fashion and lifestyles provides a fascinating insight into the one of the most idiosyncratic dance scenes, which continues to survive, uninterrupted since the 1960’s. My intention as an artist and photographer is always to impart some form of narrative about what I am observing. The notion of the photographer as storyteller and narrator engenders creative encounters and challenges that in turn provide a structuring theme. The process for the accumulating photographs of the northern soul scene naturally assimilated the stories and memories of those involved. The photographic project aimed to represent the energetic experience and compulsive behaviour of soul fans. The unity of the participants was almost a form of ‘brotherhood’ and the rallying cry of ‘Keeping the Faith’ joined ‘soulies’ together in a unique and compelling manner. I was fascinated by the intertwining of a bond of friendship that linked the soul fraternity both in the UK and abroad. This record of the soul scene was undertaken through my experiences, knowledge and memory of the subjects I was trying to capture. I had been going to soul events intermittently throughout my life, but had lost touch with the scene. When I began to explore recording the scene in the late 1990’s, I was searching for a means to document this quintessential British subject. The warm acceptance of my project was due to my enthusiasm for the music, fashion and identity of the scenes participants. As I already knew the music and dance, I could predict the movement on the dance floor to capture the decisive moment of the dancers. As a photographer, these ‘soul’ images represent a moment in time and a fantastic insight into the lives of a massively diverse range of people that meet under the umbrella of soul. For those that I have photographed within the scene, I believe that they came to trust my judgement to capture the spirit of the scene. Andy Wilson is a Senior Lecturer in Criminology at Nottingham Trent University. His PhD research at the LSE was published as ‘Northern Soul: music, drugs and subcultural identity. He began buying Tamla Motown and soul records in the late 1960s but his introduction to the ‘soul scene’ came in 1972 in the unlikely setting of Borstal. After he was released his journey on the northern scene began at the Torch all-nighter in Stoke-on-Trent. His involvement included attending the many of the soul clubs across England, promoting clubs in his hometown, occasionally DJing. He was perhaps better known for his involvement in the drug trade, specifically burglary of chemist shops in pursuit of amphetamines. He is currently a member of the Advisory Panel on Substance Misuse to the Welsh Government. Casual observation of the northern soul scene may give the impression of continuity. The ever present sound of the old favourite records, some played by the same DJ that ‘broke’ the record in the early 1970s, and the recycling of long closed clubs as a marketing name for an event support the notion of continuity. It is a deceptive image that masks the tensions and changes that reveal the dynamic process that the mod inspired dance culture went through on its journey to a soul scene to northern to the rare soul scene. This chapter is informed by my personal involvement in the scene from 1972 to 1981 and the research I carried out with 55 former participants of the scene. While I can claim to have built a record collection, DJ’d, and promoted a soul club I did not have a reputation for doing any of those activities well. I did, however, have a well-earned reputation for burgling chemist shops. It is the consequences of that activity that I draw on for this chapter. Not, I should add, to celebrate in any way the criminal activity but to consider its role in the shaping the ‘underground’ status of the soul scene. I previously argued (Wilson 2007) that commercial exploitation and growth in popularity led to the dilution of culture of the scene. This essay takes a closer look at the significance of amphetamine use, though more significantly, the authorities response to drug use, in shaping the underground attributes of the scene. This is used to ask whether the erosion of the drug culture has shredded the underground image by making its practices, whether dancing or collecting records, acceptable middle-of-the road hobbies. This chapter focuses on women’s experience of the early years of Soul based clubbing in England. The chapter draws on data from interviews with four British women who were teenagers or in their early twenties from the mid 1960s through to the mid 1970s. Each of these women were regular attenders of Soul events at night clubs in Manchester and the North West and Midlands of England. All four women attended a range of venues dedicated to Soul music during this period. However their recollections are dominated by discussion of trips to Manchester’s Twisted Wheel club. We explore the freedom from traditional gender constraints that participation in Soul fandom offered these young women and the impact these experience had on their identities and personal trajectories. The chapter aims, in a modest way, to redress the disregard of women’s contribution and experiences in accounts of the rare and northern soul scenes. The roots of Spanish Soul scene come from the Mid-80s, where a young generation of Mods discovered the Kent compilations, and decided that rare soul was the best music ever. Since then, Dani Herranz has been involved in promotion, travelling and DJing, living for a couple of years in London, where he was a 100 Club and Capitol Soul Club regular. As a promoter, his most well known events are the Autumn Mod Rally (90s), Big Thing Allnighters (2007-12), and Someday Allnighter (2014-17), all in Valencia, Spain. This chapter, first published in Ruta 66 (a popular Rock magazine in Spain) in 2014, places the Spanish scene within a wider history of the northern soul scene, from the Twisted Wheel in the 1960s to the contemporary global and multigenerational scene. The editors have included both the original piece and an English translation, offering the reader access to the insider traditions of documenting the northern soul scene, bringing together photographs, record labels, key places and people, and the language of the scene, as part of a Spanish history of soul fandom. Concentrating on the lives people lead, Bethany Kane aims to reveal their narrative through photography by highlighting details within the personal and public environments central to their processes of identity construction. Her practice builds upon the knowledge and understanding she gains through her own personal experience, using retrospective photographic processes to produce a unique insight into these rarely documented subjects. Past exhibitions include her work on the Northern Soul scene, Punk, Skinhead and Oi subcultures. Currently the Northern Soul scene is receiving great exposure through film, media and clothing brands, giving this once very secretive scene a wider recognition. Subsequently, dedicated soulies are escaping to more underground clubs and are becoming more selective in the events they choose to attend. This body of work concentrates on the younger generation and the spaces within which they construct and perform a northern soul identity. The current Soul scene is continuously growing whilst attracting a strong young crowd. Through visuals and fan voice, I explore the passion and dedication these individuals have towards their scene and the certain elements that continuously encourages their participation. Photographing scene participants in their personal spaces gives the viewer an insight to the life led between allnighters, highlighting elements within their environment that provoke a further understanding of the individual’s personal identity and how this relates to their scene participation. Taken in bedrooms, record shops and fashion student workrooms, these photographs provide an even rare insight into the permeation of scene identity into everyday life activities of young Northern Soulies. Tony Palmer is a British film director and author, creating over 100 films including The Wigan Casino, released as part of the Granada This is England series in 1977. The Wigan Casino film is now a favoured resource for fan production of images and videos collages in print and online, while providing new participants with glimpses into an ‘authenticated’ scene past, ripe for emulation. In this interview, Tony Palmer revisits the inspirations behind the film, the processes through which it was created, how this related to subsequent work and the ways in which its influence continues within today’s scene. The most recent film to feature the Northern Soul scene is Elaine Constantine’s Northern Soul (2014), winner of the NME Best film of 2014. A participant within the scene herself, Elaine viewed this film as an opportunity to finally make the film she wanted to make. As part of this interview, Elaine discusses the role that the film played in attracting new members of the current Northern Soul scene, her own experience as both a member of the scene and as a documenter, and how her interest in Northern Soul has and continues to influence her work. Liam Quinn, choreographer and dance trainer for the 2010 film Soul Boy adds insight into the role of dance in film representations of the scene. Himself a member of the scene’s younger generation, Liam adds another dimension to this interview dossier in terms of generational experience and the production of a Northern Soul performance. These interviews were undertaken and edited by Tim Wall. Lucy Gibson is a Lecturer in Applied Health and Social Care at Edge Hill University. Her Doctoral research explored popular music and the life course and investigated themes of cultural commitment, lifestyles and identities amongst fans of northern and rare soul, rock, and Electronic Dance Music (EDM). Lucy has published and presented academic work on popular music and ageing, the extension of youth cultural practices in adulthood, using email interviews to investigate music and memory, and the ageing body. Her research interests broadly focus on ageing, youth culture, community engagement, wellbeing and online research methods. Much of what is written about northern soul treats it as a historical subject and phenomenon of the past. This chapter explores how fans have retained a long-term commitment to northern soul by continuing active involvement in the various scenes that exist in the UK. It also considers some of the ways the past and present interrelate and manifest in fans’ lives. Exploring commitment illustrates the meaning and socio-cultural experiences of sustained fandom. This chapter argues that nostalgia, memory and familiarity clearly play a role in northern soul as the acquisition of symbolic knowledge demonstrates an understanding of etiquette, cultural activities, and ultimately cements a fan’s position as a genuine ‘soulie’. This is not to suggest that older fans are ‘clinging onto’ their youth, rather, they look back on their past involvement often with fondness and, in turn, this informs their present involvement. Symbolic knowledge also highlights the male-dominated nature of northern soul. Cultural distinctions alongside concerns with credibility and rarity lead to a sense of solidarity and belonging for fans, which is amplified and extended through long-term involvement. This chapter concludes by exploring generational tension amongst original members of the scene and younger newcomers as issues of ownership and status result in contention between traditionalists and those that feel the scene should progress. Mark Duffett is Reader in Media and Cultural Studies at the University of Chester. 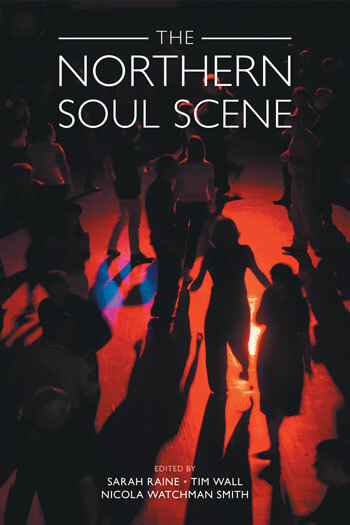 This chapter presents the perspectives of four participants on the northern soul scene followed by academic analyses from three academic approaches. Following the editorial position of the whole book, as academic authors of this chapter we seek to let participants on the scene speak “for themselves”, while at the same time offering up distinct academic analyses of what they say and do. This is not because as academics we think the voices cannot be understood in their own terms, but because we want to place the talk of scene participants side-by-side with the sorts of analyses usually undertaken by academics. In doing so, we want to show how the experience of “being there” can be framed to draw out what such experience offers to those outside the scene who study popular music cultures more generally. Focusing on underground British subcultures including Northern Soul, Mod, Ska and Skinhead with their pathognomic aesthetic & rituals, Richard Oughton explores the exceptional dynamic between people & their all-consuming passion be it music, scooters or fashion. Of integral importance to his work, Richard narrates the importance of both individual identity & collective sense of camaraderie that underpins these cultural movements. First introduced to the Northern Soul scene by a now good friend, Richard has rapidly established himself as a popular & integral purveyor of images reflecting the Northern Soul scene as it evolves today. The photographs chosen for this dossier focus on current participation within the Northern Soul scene and bring together images from a range of British and European events, focusing on the multigenerational nature of contemporary Northern Soul participation. Through his work, Richard seeks to harness the unsurpassed power & immediacy of the photographic image to record the intense physicality & emotional connection between dancer & music – as both a deeply personal & collective experience. Previous bodies of work include documenting the emergence of The Wigan Young Souls whose attitude, aesthetic & dynamism provide a contemporary insight evocative of the original scene as an underground youth movement. Paul Sadot leads the undergraduate Dance course at Shockout Arts in Manchester. He is a PhD candidate at the University of Chichester researching UK hip-hop dancers in the space of theatre. Paul was the creator, director and choreographer of the acclaimed original 2003 stage play Once Upon A Time In Wigan and choreographer and acting coach for Elaine Constantine’s 2015 film Northern Soul and has appeared in numerous documentaries on the subject. Paul has danced to Northern Soul since the age of fifteen and, over the past four decades, has witnessed many changes in the shape of the form that now dominates the Northern Soul dance floor. Drawing on the author’s embodied knowledge as a Northern Soul dancer, and his work as a practice research scholar investigating popular dance forms, this chapter investigates two distinct Northern Soul scenes: the ‘oldies’ and the ‘newies’. It places in dialogue notions of space, temporality and musical taste to examine how each scene constructs and relates to Northern Soul history and the different movement vocabularies that result. In doing so, the chapter discusses evolving musical diversity on the northern soul scene, set against notions of fixity, historical re-enactment and pastiche, and their relationship to a version of northern soul dancing that has gripped the imagination of outside UK media and academics for some time. It explores how these corporeal myths are often acted out by insiders on the oldies scene and examines the possible impact on the dancing styles of younger participants. David Sanjek, who died in 2011, was formerly Professor of Popular Music and Director of the University of Salford Music Research Centre, and a widely respected researcher of music, film, media and popular culture and a leading member of the International Association for the Study of Popular Music (IASPM). He is particularly well known for the update of Russell Sanjek’s (his later father) long history, American Popular Music and Its Business. He had been Director of the Archives at (BMI Broadcast Music, Inc.) and acted as an advisor to The Library of Congress, The Rock and Roll Hall of Fame and The Rhythm & Blues Foundation. This chapter, first published in Transatlantic Roots Music: Folk, blues and national identities (eds. Terry & Wynn 2012, University Press of Mississippi), examines the phenomenon of Northern Soul, addressing four main issues. First, what is the composition of the discography constituted by Northern Soul advocates, and how does it demarcate a particular portion of the rhythm & blues repertoire as innately superior to better-known and publicly popular recordings? Second, what relationship is projected between the two nations of the United States and England, and how is the geography from which the music originated imagined? Third, how has the Northern Soul community integrated issues of race, and what determination might be made about the kinds of bonds that elude and perhaps eradicate lines of potential hostility that can originate through the acquisition and acclimation of commercial products? Finally, what specific ideological statements might be intertwined within particular acts of pleasure, and might something be emancipated on the dance floor other than the inhibitions of the audience? The Northern Soul scene is a dance-based music culture that originated in the English North and Midlands in the early 1970s, it still thrives today with a mix of fifty-year olds and new converts, and its celebration of 1960s Soul has an international following. This innovative and distinctive book brings together original commissioned essays and pivotal scholarly articles that have defined the field so far, interspersed with dossiers of published journalistic articles and photographs, and interviews with, for instance, producers and directors of Northern Soul-themed films. This publication represents a subject-defining book on the history and contemporary nature of the scene, and the first anthology of work in the field, which will provide a forum for vibrant dialogue and debate for a readership of lecturers and researchers, students and general readers interested in creative analyses and interpretations of the scene, past and present. 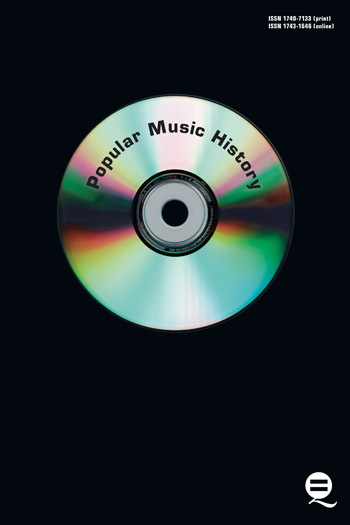 The book links academic research, photography, film production and journalism in the documentation and analysis of historic and current music scenes. Representations of the scene from different media and different historical locations are juxtaposed to construct a rich and diverse statement about the music, people, places and practices that constitute the Northern Soul scene in the UK. Like northern soul itself, this collection is crisp and clean in parts, gritty and a bit uncomfortable in others, and has its own identifiable rhythm. Like the scene it represents collective, collaborative, and co-produced work. The book’s ambition is a powerful one: to illuminate not only northern soul, but also popular music culture and the form of edited collections more generally. It is a perfect textual match for the scene itself, with lessons and ramifications far beyond northern soul... If we want to understand how an academic field is made up of insiders, we will learn a lot from this examination of what it takes to be insiders, how we police boundaries, and how the stories that we tell each other stabilise and legitimise our academic work. As a young rare soul DJ, this edited collection comprehensively explores what it actually means to be a part of the Northern Soul scene. With input from the 6Ts soul icon Ady Croasdell, this book gives an excellent insight to the contemporary soul scene that forms my secret life. This title is some kind of a revelation, as it easily combines academic research with interviews and fans’ stories on a large scale, leading to massive amounts of data. This approach to theoretical or cultural study of music in popular culture will not always work out so well, but here it can present a very readable and informative work. It is also remarkable that all three editors are highly involved into the topic of the book. And not just as researchers, but in various ways, as DJ, record collector or as in all three cases Northern Soul fans and dancers. A very lucky coincidence indeed. And it absolutely makes a difference. Recommended reading through and through.